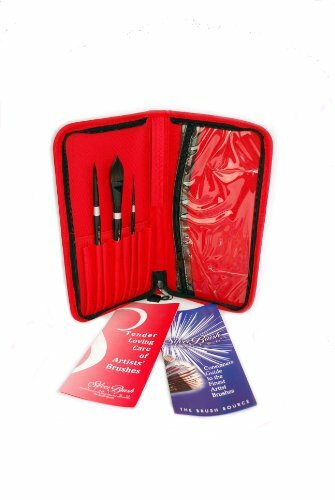 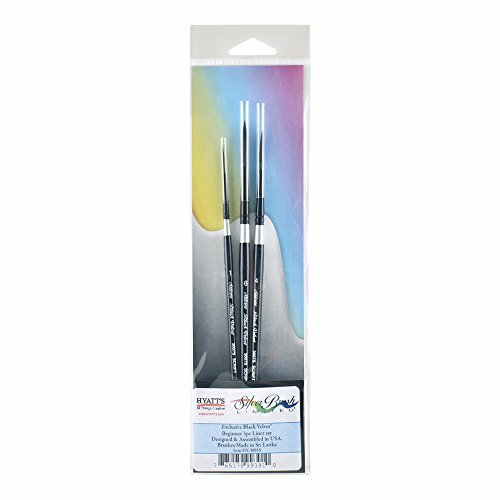 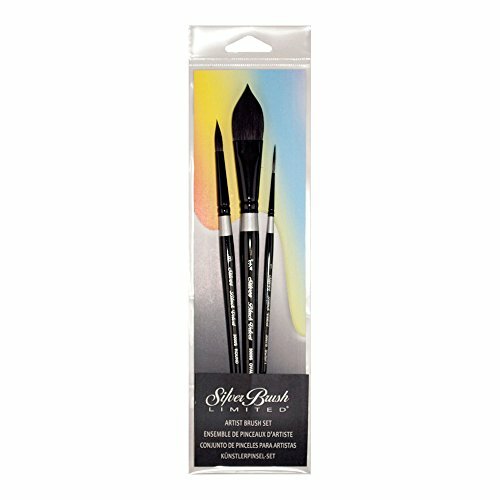 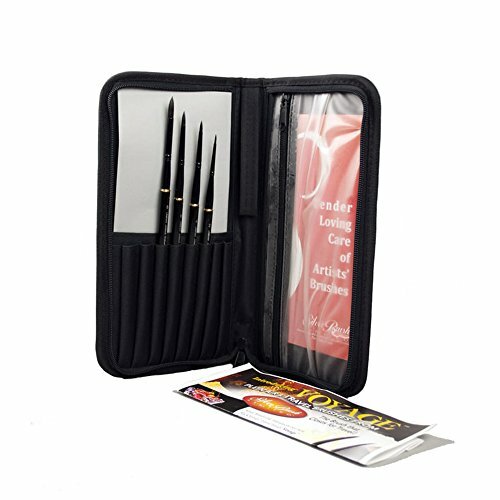 This Black Velvet watercolor short handle brush set is 3 piece set includes each 1 script liner, 3/4 oval wash and round 8 size brushes. 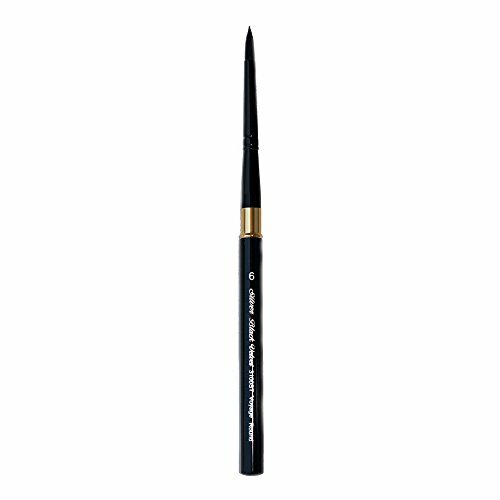 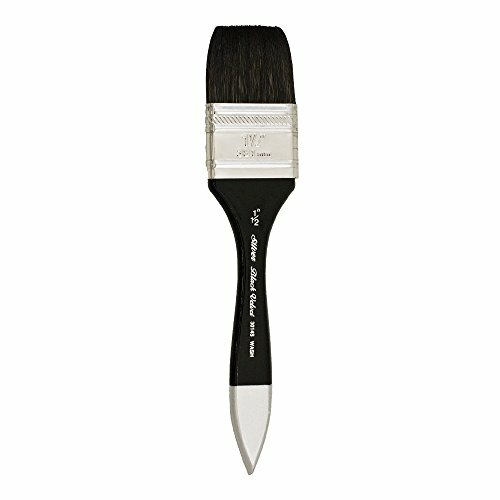 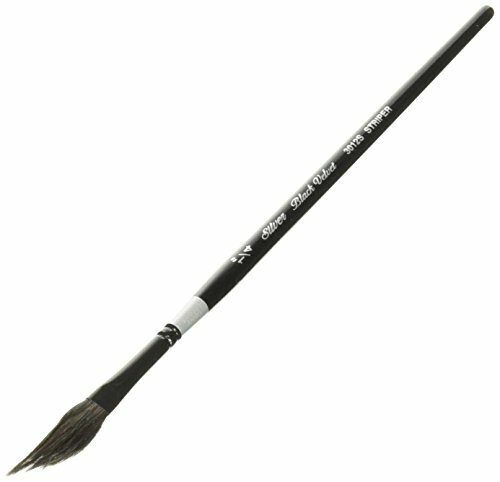 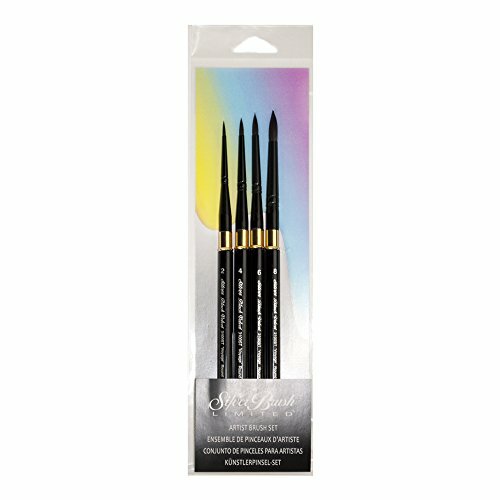 Black Velvet brushes are unique blend of natural squirrel hair and black synthetic filament for spring and responsiveness. Squirrel hair holds large amounts of color and releases it with perfect control. 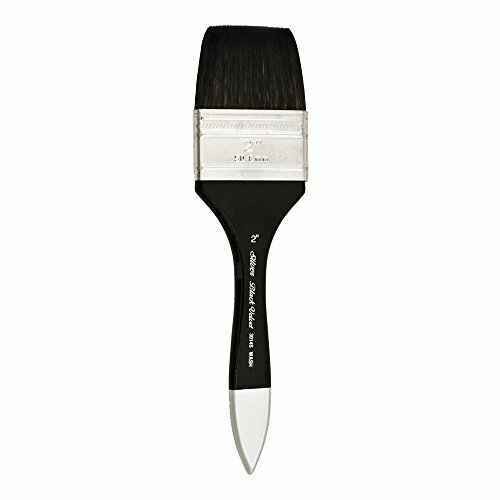 This soft blend allows multiple layer glazing without disturbing previous colors. 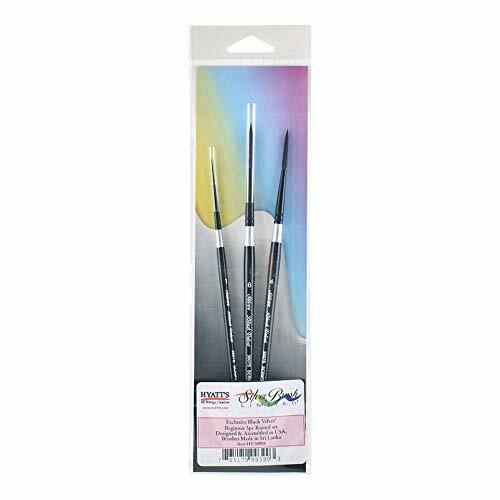 Creates ideal working tools for the watercolorist, silk painter, and artists working with inks, dyes, acrylics or gouache. Measures 11-inch length by 3-inch width by 1/2-inch height.